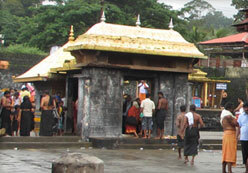 As Lord Ayyappan was raised by the King of Pandalam as his son, the temple at Sabarimala is looked upon as part of the Raja's domain. 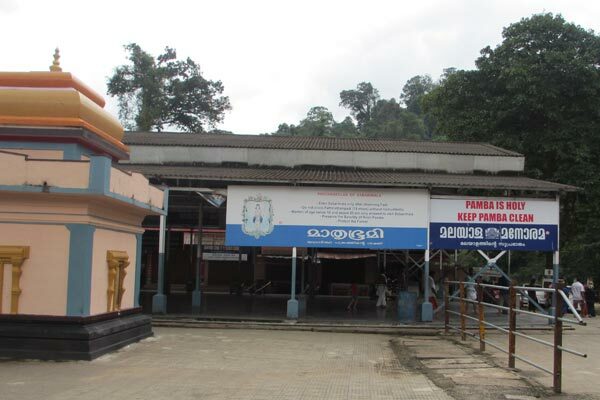 And pilgrims are expected to obtain his permission before proceeding to Sabarimala. One of the King's representatives sits on a raised platform with the royal insignia at the base of Neelimala. The Ayyappa devotees offer him a token sum and receive vibhuthi in return. The 3km ascent up the Neelimala is the steepest and the most difficult in the whole pilgrimage. 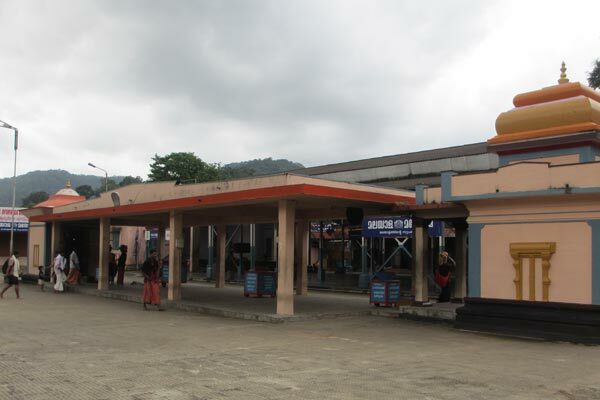 En route to Sabarimala, the pilgrims visit Erumeli Sree Dharma Shastha Temple to hold 'Petta Thullal' as well as Vavur's mosque, also at Erumeli. 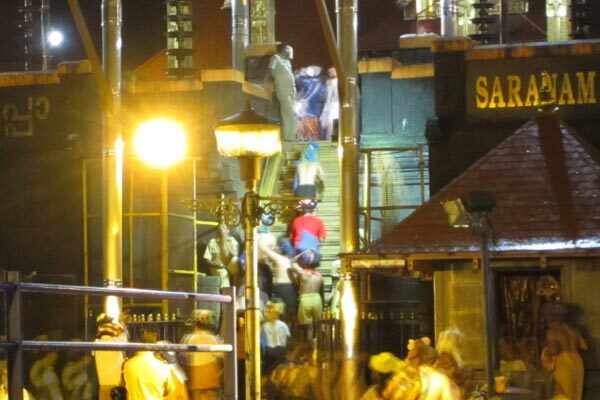 To enter the temple complex at Sabarimala, the devotees have to climb the 18 steps or the 'pathinettu padikal'; when compared to other prominent temples in Kerala like Guruvayoor, the shrine atop Sabarimala is relatively small. The temple stands on a plateau, over 40 feet high and offers spectacular views of the surrounding mountains and the valleys below. Steeped in antiquity, it was rebuilt after a massive fire in 1950. 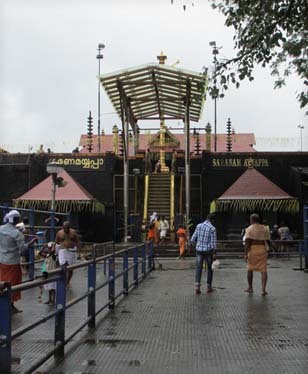 Now, the complex on Sabarimala comprises a sanctum sanctorum bearing a copper-plated roof with four golden finials at the top, two mandapams, the belikalpura housing the altar, and the 'kodimaram' or the flag staff. The Ayyappa idol within the Sannidhanam and worshipped by millions, was originally carved out of stone, however the current image of the deity is a beautiful idol of Ayyappan in panchaloha, an amalgam five metals and about one and a half feet tall. 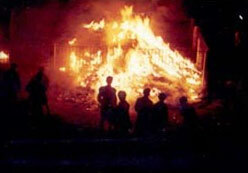 In the bygone days, a large homakundam or a sacred pit burned constantly in front of the Sannidhanam. 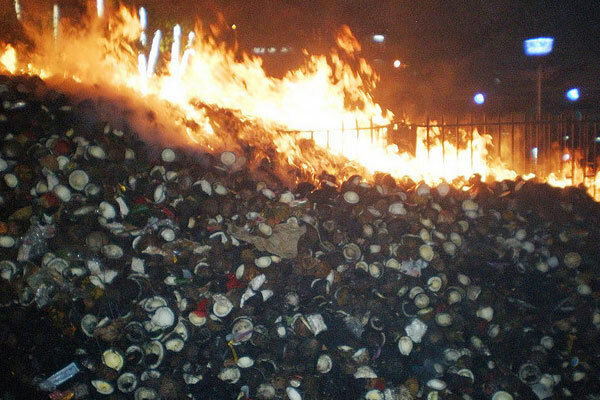 The flames were fed by the coconuts/neithenga thrown in by pilgrims, after offering the ghee within them to Lord Ayyappan. It is held that as the coconuts burn in the sacrificial fire, the pilgrims undergo a ritualistic cleansing, both of the spirit and the body. 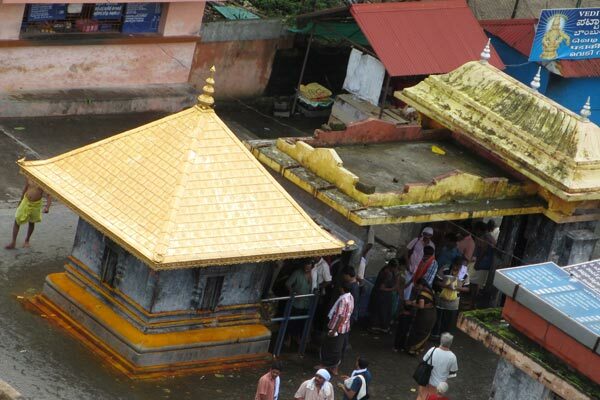 Owing to the deluge of devotees each year, the Homakundam has been moved to a spot beneath the temple. 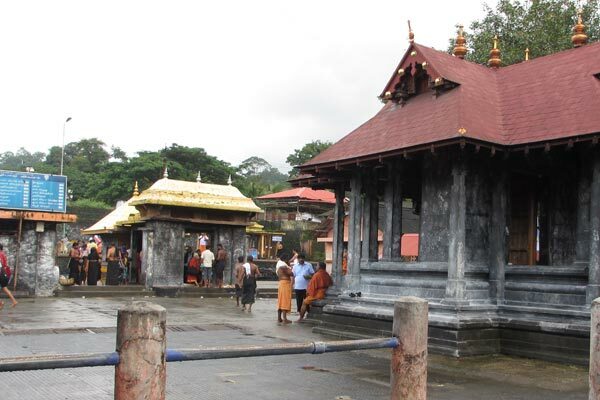 The shrine of Malikappurathama is about 100 metres away from the Sannidhanam. 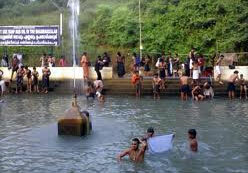 Bhasmakkulam/ Ash tank is situated between these two holy spots. 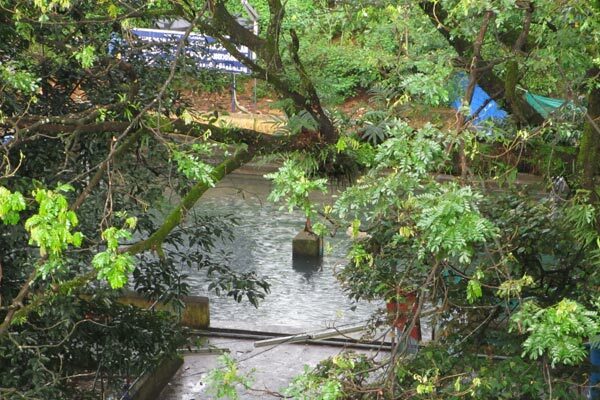 Pilgrims braving the arduous trip to Sabarimala take a tip in the sacred waters of this tank for spiritual purification and also in memory of Tapaswini Sabari who entered a pyre to end her mortal life. Sabarimala is named after her. 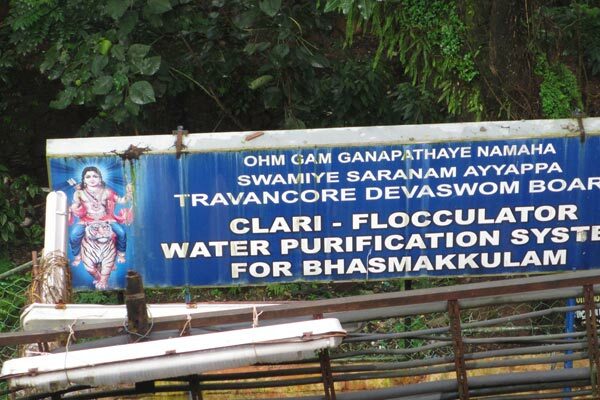 Bhasmakkulam is repeatedly drained and filled with fresh water, on account of the millions who bathe in it. 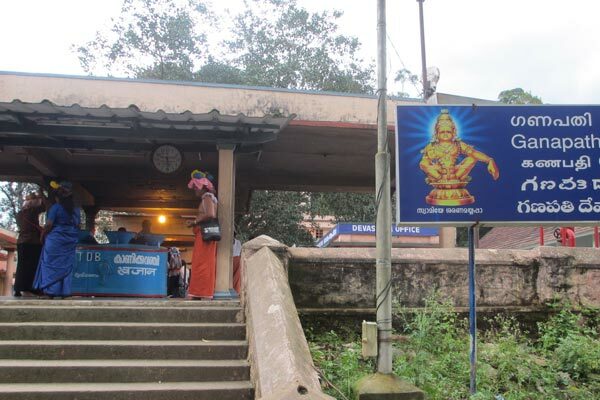 This small temple on a hillock houses the shrines of Devi (Malanada Bhagavathi) and Kaduthaswamy in addition to a trident and a lamp. 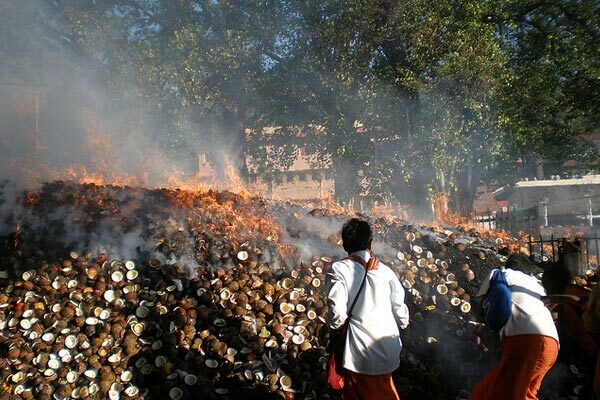 Devotees offer special pujas and coconuts which contrary to common practice, are not broken, but just rolled onto the ground. The door of the shrine always remains closed and other offerings presented include betel leaves, turmeric powder, silk cloth, saffron and money. 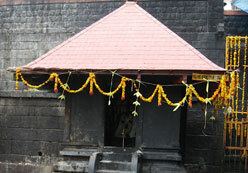 Kanikka, gun shots and lighted lamps are the offered by the worshipper to propitiate Malanada Bhagavathi. 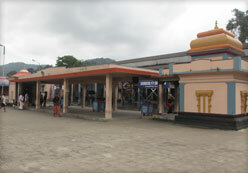 The shrines of Nagaraja (the king of snakes) and Nagayakshi (Snake goddess) are on the right side of the temple of Malikappurathamma. Special pujas involving sarppa paattu are offered here to appease the snakes and protect devotees from the harmful effects of snakebites. 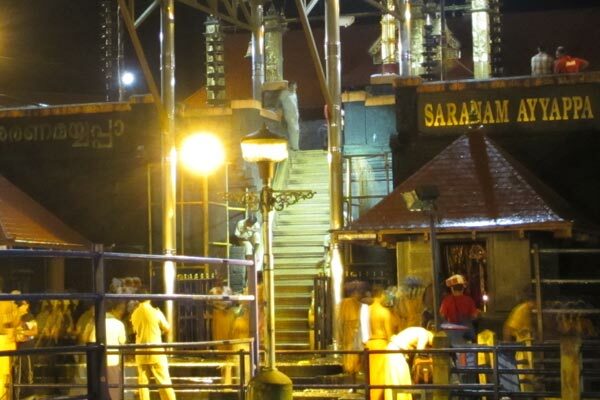 Kaduthaswamy and Karuppaswamy stand at the bottom of the Pathinettampadi (18 steps) and are the guardians of the Sannidhanam. 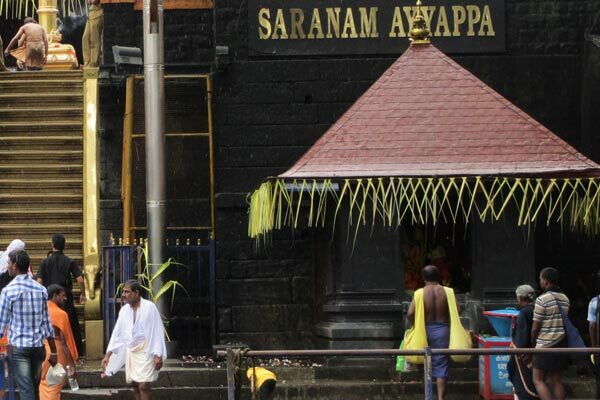 They are dwarapalakas, ensuring that the holy steps are not polluted by pilgrims who do not undergo the rigors of the 41-day abstinence and celibacy. Also they safeguard the pious from the dark spirits of the surrounding forests. It is held that Kadutha was a valiant warrior who helped Pandalamraja (Lord Ayyappan's foster father) beat his archenemy Udayanan. Soon afterwards, Kadutha accompanied the Raja to Sabarimala to reconstruct the Ayyappa temple and eventually grew so attached to the Lord that he spent his remaining days in the temple and the adjoining woods. 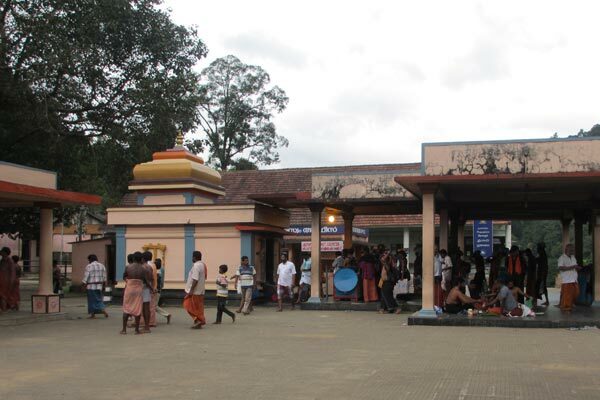 Adjacent to the Pathinettupadi is the shrine of Vavurswami, who is believed to have been a close associate of Lord Ayyappan. Vavur was a Muslim and several versions of his association with Ayyappan persist. Originally a warrior, Vavur was defeated and subdued by Ayyappan; later he became of one of the closest confidants of the Lord. It is widely believed that Ayyappan himself instructed Pandalamraja to build a mosque for Vavur at Erumeli and a shrine at Sabarimala. 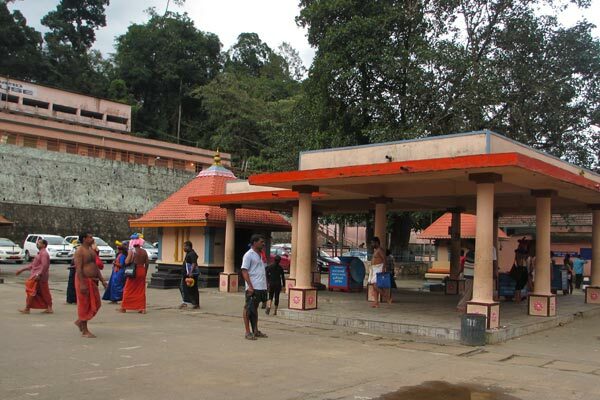 The original 18 steps at Sabarimala were granite blocks, five or six feet wide. 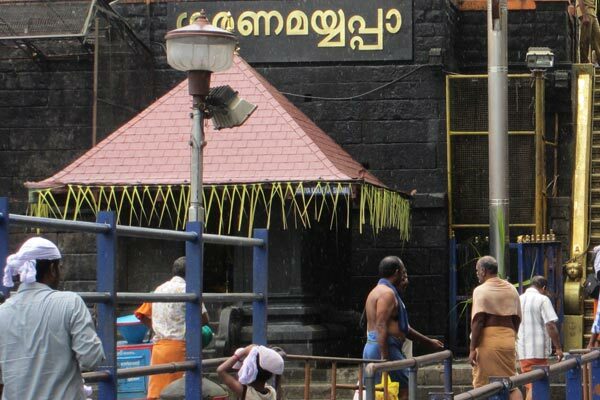 However, they were so badly damaged by pilgrims who constantly broke coconuts on them that Travancore Devasom, the current governing body of the temple covered them with panchaloha after a lengthy Devaprashanam. The renovation work was completed in November, 1985 and now the holy steps are covered in gold. Several myths persist regarding the significance of the Pathinettu thripadikal or the 18 holy steps, but almost all of them stress the importance of the number, 18. According to a popular belief, the first 5 steps signify the five indriyas or the senses (eyes, ears, nose, tongue and skin), the following 8 the ragas (tatwa, kama, krodha, moha, lobha, madha, matsraya, and ahamkara), the next 3 the gunas (satwa, rajas and thamas) followed by vidya and avidya. Climbing these would take the devotee closer to self-realisation. 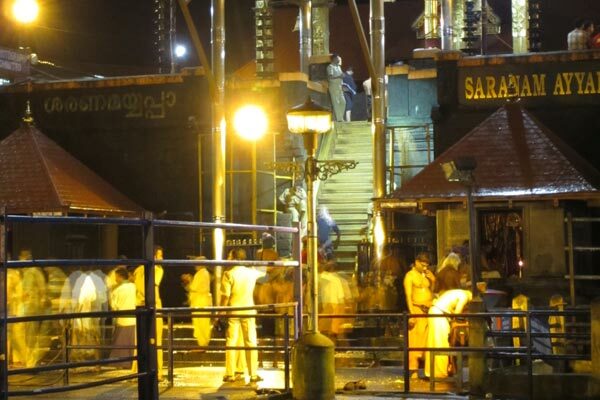 The act of crossing the 18 steps is so sacred that nobody can mount them without undertaking the rigorous 41 day fast and carrying the irumudi. It is also widely assumed that the pathinettu padikal symbolize the 18 puranas; others believe that they connote the 18 weapons with which Lord Ayyappan obliterated evil. An Ayyappa devotee crosses the Pathinettaam padi only twice during his sojourn on Sabarimala – for entering the temple and to go downhill. Before ascending or descending the steps, pilgrims break coconut as an offering to the steps. 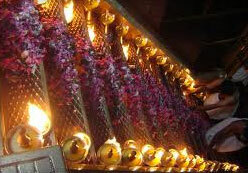 One needs to have the sacred Irumudi on head while going up or down the 18 steps and while descending the steps the devotees climb down backwards facing the sanctum sanctorum.